Beauty Costs > How Much Does a Fur Coat Cleaning Cost? How Much Does a Fur Coat Cleaning Cost? A professional fur coat cleaning will be a necessary service if you own a fur coat as it can’t be treated like most articles of clothing. How much does it cost to clean a fur coat? 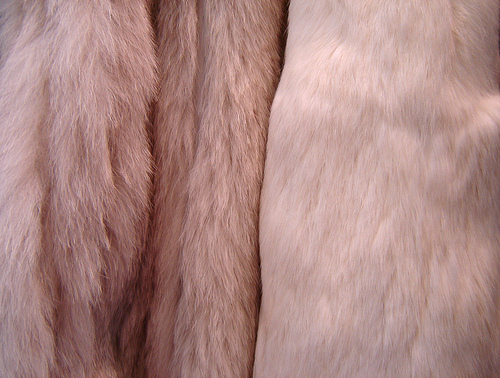 Cleaning an authentic fur coat ranges anywhere from $65 to $125. Experts in this area suggest that you should take it to a furrier to maintain its quality and not to a dry cleaner as self-cleaning it or hiring the wrong professional could potentially destroy its authentic condition. Depending on the service, some will only clean your coat if you plan on storing it with them during the offseason. For instance, StoreMyFurCoat.com, a furrier located in Detroit, Michigan, charges $150 to pick up your coat, store it, clean, condition and glaze it. ML Furs, another professional fur cleaning company located in Colorado, lists their prices on their official website. Glazing a fur coat and mid-length coat starts at $55.95, while cleaning and glazing a coat starts at $60. A professional fur coat cleaner will use a process known as “glazing.” This is the process of bringing out the coat’s natural luster after it has been cleaned. It will involve steaming and ironing, but the exact procedure will vary depending upon the type of fur. This cleaning process will always be done by hand, using a special powder that helps remove any excess oils, dirt, or stains. A cleaning should be done at least once a year to properly retain its essential oils. A professional will also inspect your coat for stains, rips and tears. The linings are hand-cleaned with specific attention to spots and stains. Any major repairs or alterations can be an additional charge. However, some companies are happy to perform small repairs for free. With most serious repairs, a company will be able to offer a free estimate. If you do not want to store the coat in your home, some companies are able to store it at their facilities for a small fee, usually around $50 to $100 per year. A cleaner that has to come to your location to pick up to coat can tack on a travel fee. Refrain from using metal or wire hangers as they will deform the coat. Use a wide padded hangar for best results. Cleaning your fur coat regularly is going to help make your fur last longer and make it soft and supple. A professional cleaning is recommended once a year, even if you do not wear the coat very often. In fact, the less often you wear your coat, the more dust it can collect and the more oils it will lose. This also means that the furs natural odor may start to be noticeable. Never dab at your fur coat, especially when wet. This can mat the fur, altering its appearance. If the coat gets wet, simply shake it out let it dry, then shake it again to fluff it once it is dry. Do not use a hair dryer or any type of direct heat to dry the fur coat. Always store your fur coat in a spacious closet that has great ventilation. Never store your coat in a plastic bag. Cold storage is ideal to prevent the furs from becoming dry. To keep your fur coat in the best condition possible, you should avoid spraying hairspray or perfume while wearing the coat. The alcohol in these items can dry out the coat. While it is not recommended, a fur coat can be cleaned on your own; however, proceed at your own risk. This DoItYourself.com guide, for example, shows you how it can be done at home. Try to keep your eyes peeled for promotions and special offers. Many cleaners will provide deals to those who are first-time customers or for consistent customers. Had mine cleaned at local fur shop.